PHUKET: The three restaurants comprising Phuket’s respected Baan Rim Pa Group – Baan Rim Pa, Joe’s Downstairs and Da Maurizio Bar Ristorante, all located at Kalim, north of Patong – have together won three of the 10 “Best of Award of Excellence” awards bestowed to dining venues in Thailand in the renowned Wine Spectator Awards. 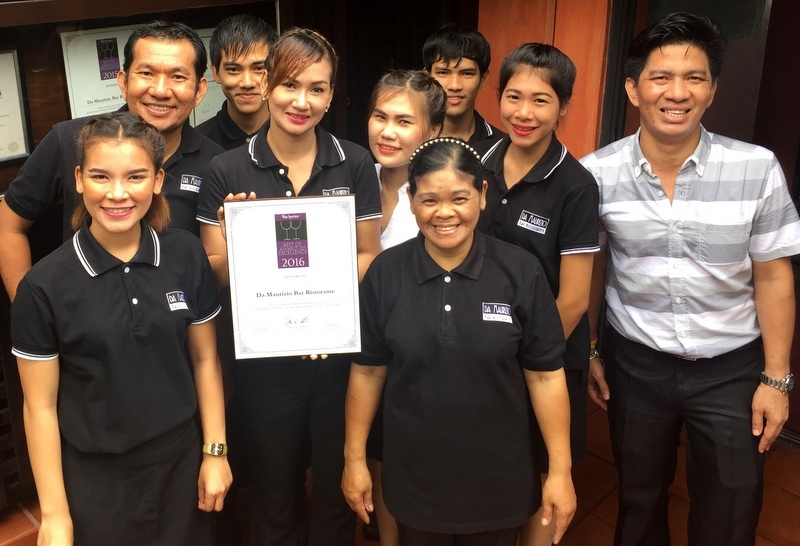 Phuket’s Baan Rim Pa Group – comprising Baan Rim Pa, Joe’s Downstairs and Da Maurizio Bar Ristorante, all located at Kalim, north of Patong – have together won three of the 10 ‘Best of Award of Excellence’ awards bestowed to dining venues in Thailand in the renowned Wine Spectator Awards. “Wine Spectator Magazine and Awards are well respected throughout the world in the hospitality industry. Restaurants strive each year with their wine lists to be accepted,” explained Sue Ultmann, Executive Manager and Marketing Director of the Baan Rim Pa Restaurant Group. 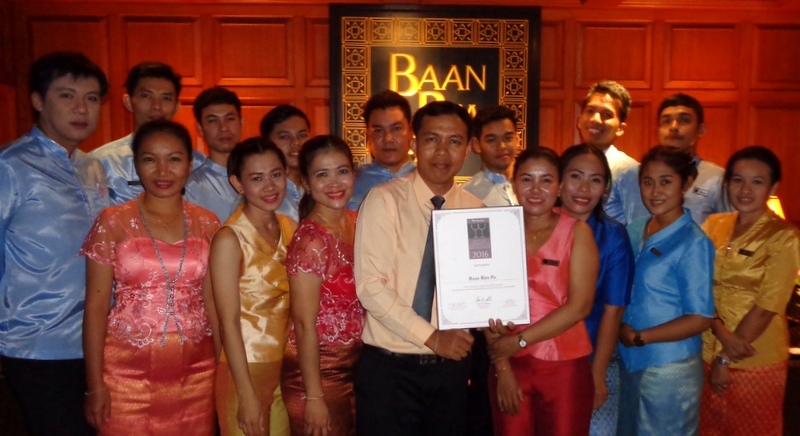 “Since 2002 Baan Rim Pa group has received the ‘One Glass – Award of Excellence’. In 2015 and again 2016 they were given the prestigious ‘Two Glasses – Best of Award of Excellence’. 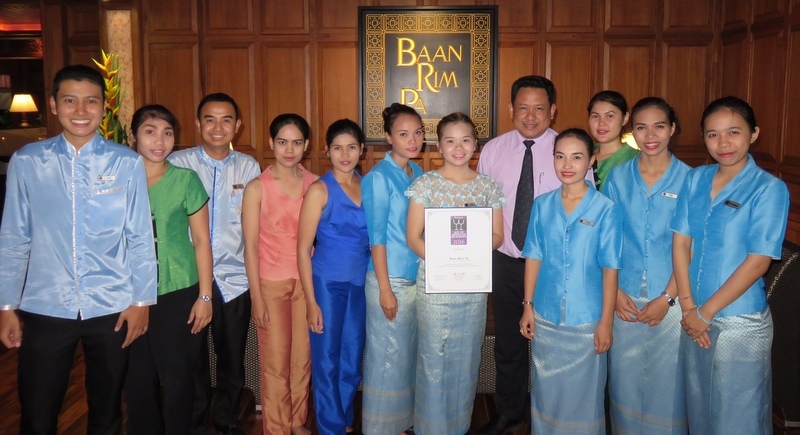 “Only 10 restaurants in the whole of Thailand have received these awards and Baan Rim Pa Group took out three of the 10 awards. 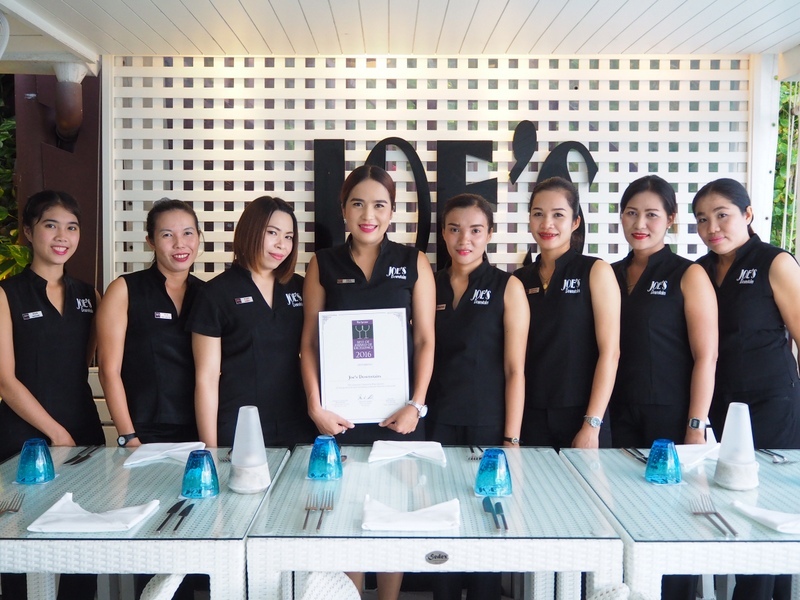 This is a great honour and reflects the hard work and dedication of the Sommeliers in choosing the list,” Ms Ultmann told The Phuket News..
Only one other restaurant in Phuket received the Best of Excellence Award for 2016 – The Boathouse Wine and Grill. The “Two Glasses” Best of Award of Excellence category this year was bestowed 1,093 winners worldwide. Only 88 venues throughout the world this year received the prestigious “Three Glasses” Grand Award. I am not speaking for the wine collection, but foodwise I will never understand why Baan Rim Pa can be honoured for what they are serving.